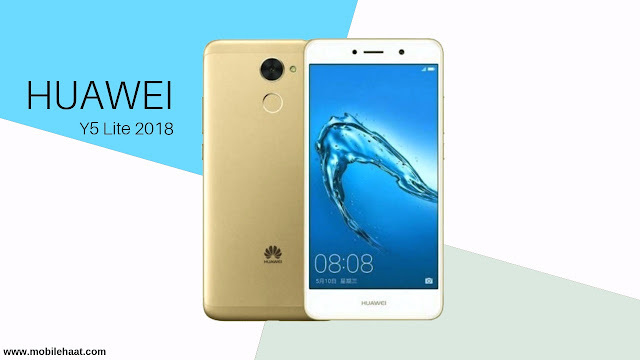 Huawei is developing its next smartphone called Huawei Y5 (2018). The device is expected to be the company's first Android Go smartphone. Now, Huawei seems ready to launch a new smartphone in the US. According to the report, the device has appeared on the Federal Communications Commission (FCC), which manages interstate and international communications through radio, television, cable, satellite, and cable television in the United States. However, the FCC file did not disclose anything other than the model number "CAG-L03". The firmware file of Huawei Y5 Lite 2018 running Android Go has also been confirmed by XDA developers. The Huawei Y5 (2018) device will be equipped with the MediaTek MT6739M chipset with ARM Mali-T720 GPU. The chipset will consist of four ARM Cortex-A53 CPU cores with a clock speed of up to 1.1GHz. The phone is also said to be equipped with a 720 x 1440p display, two SIM card slots, 8GB of storage and a dedicated microSD card slot. For the unintentional, Google announced its ambitious version of Android Oreo Go. The Go version was first released on Google I / O 2017 and is suitable for low-end devices running 512MB to 1GB of RAM. The goal is to provide the public with the latest Android updates, which will be available as part of the Android 8.1 release. The latest Android Oreo (Go version) is optimized for entry-level phones, including better performance and built-in data management features and security benefits. The brand has also designed a new set of Google apps, including Google Go, Google Assistant Go, YouTube Go, Google Maps Go, Gmail Go, Gboard, Google Play, Chrome, and the new Files Go app, which is lighter. It will be smoother on entry-level devices. In addition, Google has created a new section that recommends popular apps that work well on entry-level smartphones. Network range: 2G, 3G - There is no official information about 4G support. Operating system: Android Oreo v8.1 (Go Edition). Processor: Quad core, 1.5 GHz. Graphics Processing Union (GPU): ARM Mali-T720. Body: 145.1 x 9.45 x 73.7 mm. SIM card type: dual card (Nano-SIM, dual standby). Display resolution: HD + 720 x 1440 pixels. Display protection: 18:9 ratio full view touch screen. Camera resolution (back): 8 megapixels. Camera factor (back): autofocus, LED flash, HDR. Camera resolution (front): 5 megapixels (flashlight). Battery type and performance: Lithium-ion 3020 mAh (non-removable) Video playback time: Up to 13 hours - Power saving 6.0. MP3, MP4, FM radio, speakers.